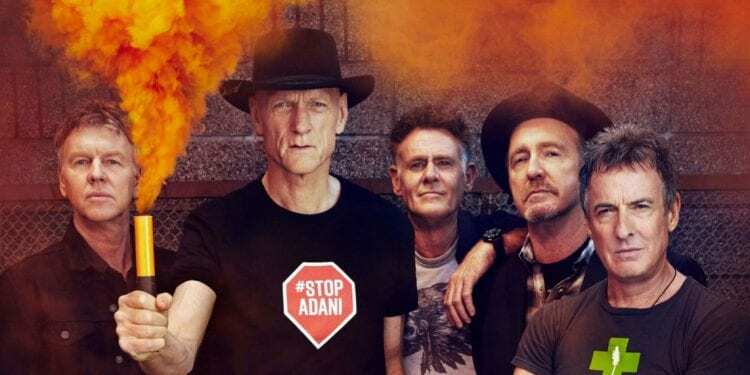 Legendary Aussie rockers Midnight Oil have announced they’ll be returning to Europe in 2019 for a limited string of gigs, including two UK shows. The ‘Oils be playing the O2 Apollo in Manchester on 9 June and the O2 Brixton Academy in London on 13 June. Announcing the shows, following their much lauded comeback tour in 2017, Midnight Oil said they have some unfinished business. “We really enjoyed making music together again on The Great Circle tour and the reaction from everyone was so positive that we’ve decided to do a bit more of it in 2019,” the band said in a statement. “There won’t be anywhere near as many shows as in 2017, but we’re keen to keep performing while there are still new places to play and new things to say. For now, it’s mainly fans in the northern hemisphere who can count themselves lucky enough to get another decent dose of ‘Oils in 2019, with just one show so far scheduled Down Under – in the Outback at the Big Red Bash in Birdsville on 18 July.